This week's discoveries: Watch out! Paint flake coming in! 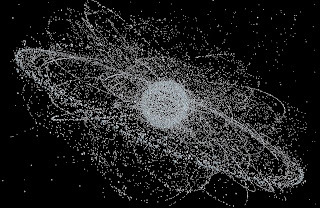 An ever increasing amount of space debris is orbiting earth. This can cause some serious problems. ‘New tools are necessary to deal with more than hundred thousands of space debris’ says Alexis Petit in Advances in Space Research. Space debris is all the stuff that’s left behind by space missions. This can be everything from tiny screws to whole rocket stages - and everything in between, like a toolbox that was left behind by an astronaut while working on the ISS. Although hitting a rocket stages doesn’t sound nice to anyone, tiny screws seem less damaging. The problem is, they can cause your rocket quite some harm too. 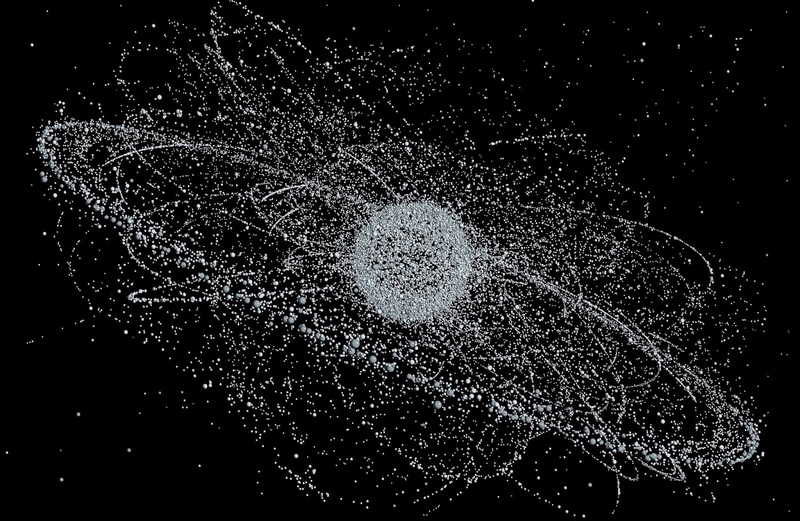 Space debris orbits the earth with around twenty-eight thousand kilometres an hour. This is faster than a bullet. A piece of space debris the size of a marble would hit you with the force of a bowling ball going four-hundred eighty kilometres an hour. For this reason, NASA keeps track of all more than twenty-one thousand pieces of space debris. But they estimate that there are more than hundred million pieces of space debris, most of them smaller than one centimetre. If this amount is getting more – and it is -, this might cause some serious problems. 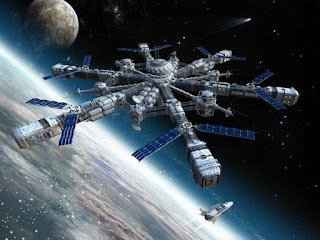 For example, cascade collisions can become a real problem if the amount of space debris is going to increase even more. This means the amount of space debris is so big that when two pieces collide, this only increases the risks of colliding. Over time, this can mean that safe space programmes become impossible, because there’s too much debris. Imagine if all we kept all the car wrecks on the high way, at one point it would become impossible to drive there. In space, we’ve almost reached that point. Six space agencies, among them the ESA and NASA, predict catastrophic collisions with space debris happening every five or nine years and an increase of thirty percent in space debris in the next two hundred years. Fortunately, Alexis Petit and Anne Lemaitre have a solution. They want to improve the software that NASA uses to track the space debris. With this improved software, they are going to calculate which pieces of space debris are most likely to collide with others. If we remove the pieces of space debris which are most likely to collide, for example by letting them burn up in the atmosphere, the total chances of collisions, and thus more space debris, decrease. We only remove the car wrecks that lie in the middle of the high way, so other cars can pass safely. This plan can give us a safer space and can keep space programmes possible for many generations to come.